On behalf of Admin of JML Law, A Professional Law Corporation posted in wrongful death on Saturday, Sep 15 2018. No one really understands legal terms unless you are a lawyer, self-proclaimed lover of law, or until you need to know them. Some would argue that every death is wrongful because it is finite and it hurts to lose a loved one. However, in the eyes of the law, there are certain situations or scenarios which involve death that requires the attention of our legal system. 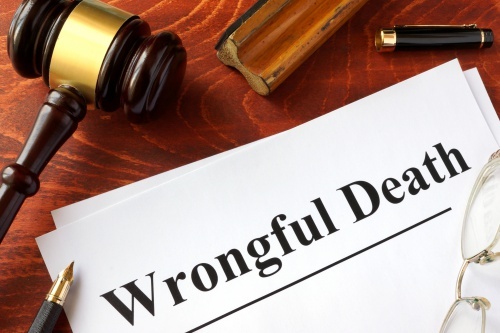 Our Long Beach wrongful death attorneys at JML Law understand the complexities that come with filing a wrongful death suit. We are empathetic to the emotional struggle and sympathetic to the overall situation. With over 40 years of experience, we follow the same method which treats each client as a unique case and finds through our first consultation all the legal issues you may have. Our firm has the skills and resources to help you in your situation. Wrongful death is the death of a person due to the gross negligence of another person or party. Whoever brings the wrongful suit is representing the person who had passed and is usually a family member or spouse. The suit is for damages accrued due to the death of the loved one. Wrongful death can be filed alongside criminal suits as well and neither of the outcomes will affect each other. Other elements to consider, if the death was work-related then a fault is not an issue. Also, if the loved one was somewhat for part of the accident, you can sue for partial compensation which can still lead to a substantial sum that will help with any damages due to the incident. At JML Law in Long Beach, our Wrongful Death attorneys have a wide experience in these kinds of cases. Here are some examples of situations that constitute wrongful death: car accident, truck accident, work-related accident, premises liability, defective product, and more. The costs that accrue when you are dealing with a wrongful death are medical bills, lost income, lost companionship, lost future earnings, funeral expenses and pain and suffering from losing an individual. We understand that losing a loved one is emotionally exhausting. To think about compiling a case to fight out this wrongful death may seem daunting as well. This is not an overstatement: call us immediately. The reason for this is because there is a statute of limitations placed on suits like this. Typically there is a 2-year statute, however, this can be reduced or extended depending on your specific situation. Before we file a suit there are mounds of paperwork and research to compile before the suit can be filed. So, as soon as you reach out to us then we can get the research started, but that doesn’t mean the suit has started. This distinction is important because we want to make sure we help you build a solid case and having time is crucial. Call us at 818-610-8800 or click here to start your free consultation.